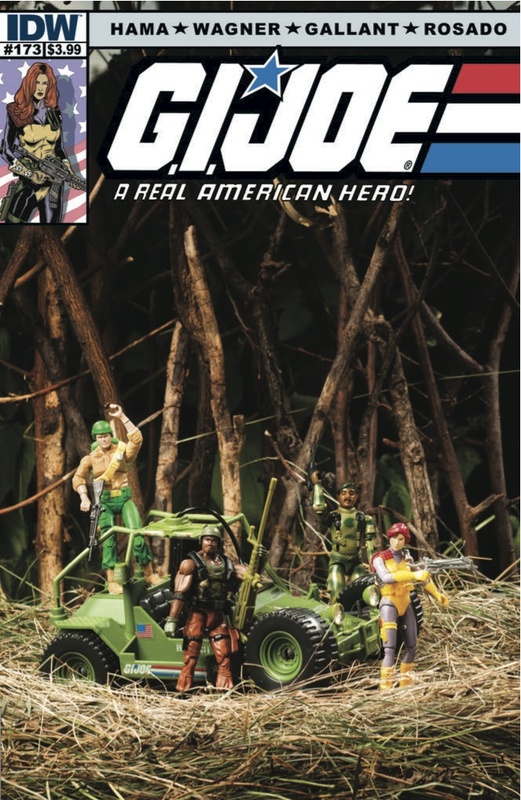 Larry Hama continues to mine classic stories from the Marvel run as he re-introduces the former Oktober Guard in G.I. Joe: A Real American Hero #173. Meanwhile, Snake Eyes and Storm Shadow, investigating the Blue Ninjas, recruits an unlikely ally in their quest. Hama balances action, exposition, and character development in this issue. The introduction of the former Oktober Guard was nicely done, with purposeful misdirection as to the current relationship between them and the Joes. [Interestingly, Colonel Chikatilo makes a point to say that the Oktober Guard no longer exists, but Hama doesn't tell us what this new Russian army team is called.] Both the Joes and the Guard find themselves forced to become involved in a local skirmish, the importance of which intensifies when they learn who is leading the opposition. Snake Eyes and Storm Shadow take a break from the action as they learn the true nature of the Blue Ninjas and the scope of their threat. Hama deserves some credit for at least distinguishing these ninjas from the countless other sub-factions running around in his Joe stories. Two scenes stand out in this issue, and both (perhaps not surprisingly) were very character driven. Snake Eyes and Storm Shadow delivers a deceased Billy to his father with a request for aid for vengeance. The page in which Cobra Commander faces his dead son is without dialogue, but it still carries the full weight of the long and complex history between the two men. The result is an extremely powerful scene. Sneak Peek is given an epilogue to his story from the last several issues, and it wasn't a happy one. The consequences of his faked death and his time undercover is made painfully clear to him, and to the reader. Like the scene above, Hama doesn't feel it is necessary to cloud the narrative with unnecessary dialogue or explanations. It is short, naked, and powerful. Three artists grace this issue: series regular S. L. Gallant, Wil Rosado, and Marvel alum-Ron Wagner. Individually, each is strong in his own right. Unfortunately, their styles don't mesh well together and make reading the issue mildly jarring. The Sneak Peek scene (illustrated by Wagner?) was done particularly well, and the use of bright soft colors made a great contrast to the emotional subtext of the scene. As with all the IDW Joe comics this month, this one had a great diorama cover. The fact that the four characters gracing the cover (Duke, Roadblock, Stalker, and Scarlet) were NOT in the comics was only a very mild detraction. Strong action and stronger characterizations. Highly recommended.